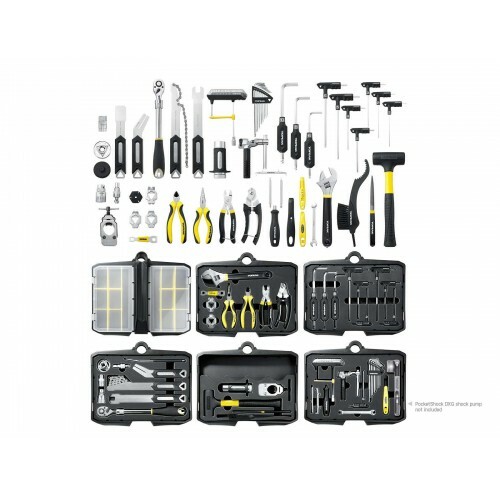 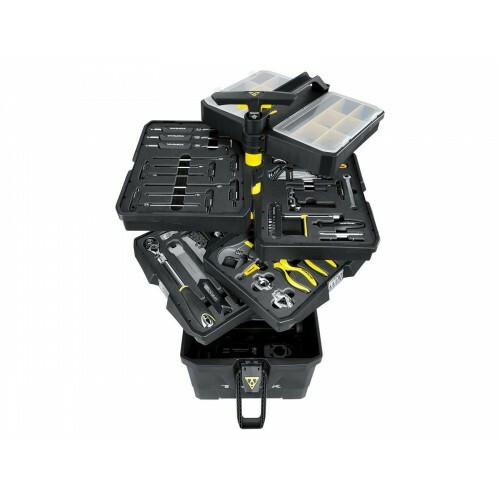 Easy moving trolley tool station with 5” wheels and six tool compartments containing 52 professional shop quality bike tools (80 functions). Wheel base can be easily pulled out to extend working base for better stability. 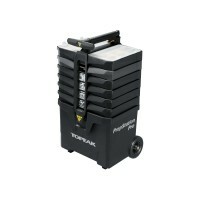 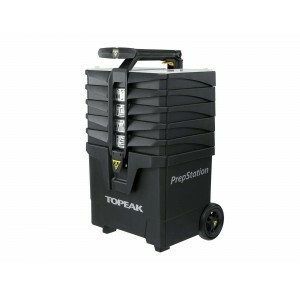 Push button Lift Handle opens tool trays for quick and easy repairs. 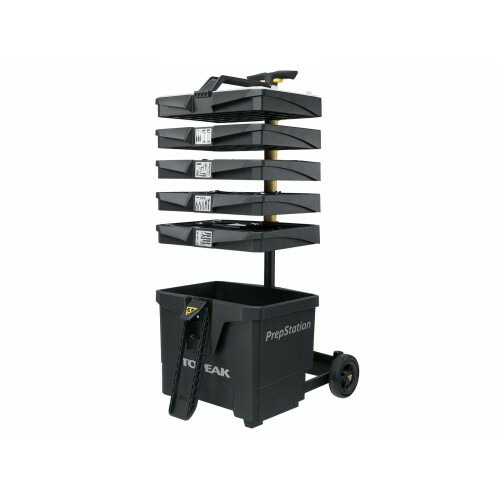 Easy moving trolley tool station with 5” wheels and seven tool compartments containing 55 profe..